Good Monday Morning Fitness Fam! I am so excited because tomorrow we leave behind the snow for the sunny beaches of Florida! We are going to visit a friend that moved to Miami. This will be Ariana's second time to Florida, but her first time at the beach. I love vacation, but I also know that it can be easy to skip workouts and slack on clean eating. So, this vacation, my goal PLAN is to workout at least 4 times. I have my tabata workouts that I can do in 30 minutes and all I need is my Gym Boss Timer. Also, in my friends building there is a gym so I can get in at least 2 total body strength workouts in, and he is part of a gym that does hour long circuit style classes and I plan to get 2 of those in as well. 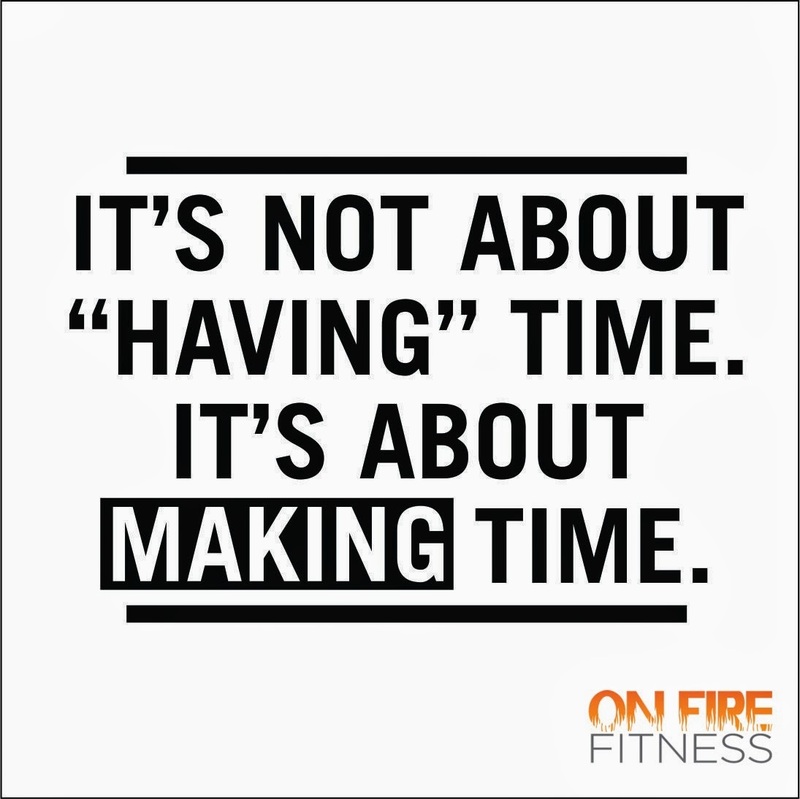 It is all about making the time. An hour a day is such a small part of your day, but it shapes how your day goes. I know for me that if I know exactly what I am going to do for my workout when I wake up and then decide what time, I will get my workout in. Yesterday this really hit home with me. I knew that I at least wanted to get a 30 minute tabata workout in and even though the day was busy, at 9:00 pm I did it! Would I have rather sat on the couch? YES! But I knew how good I would feel to get my workout done, and I felt proud of myself. What do you do to ensure you get your workouts in? My health and fitness is so important to me. I want to stay strong so I can swing my 30 pound daughter while she giggles with delight and carry her around when she wants to be held. I also want to set a healthy example for her. I want her to have a strong body image and confidence in herself. I also want to be around and be healthy as she grows up. So Ariana, my sweet daughter is my biggest "why". 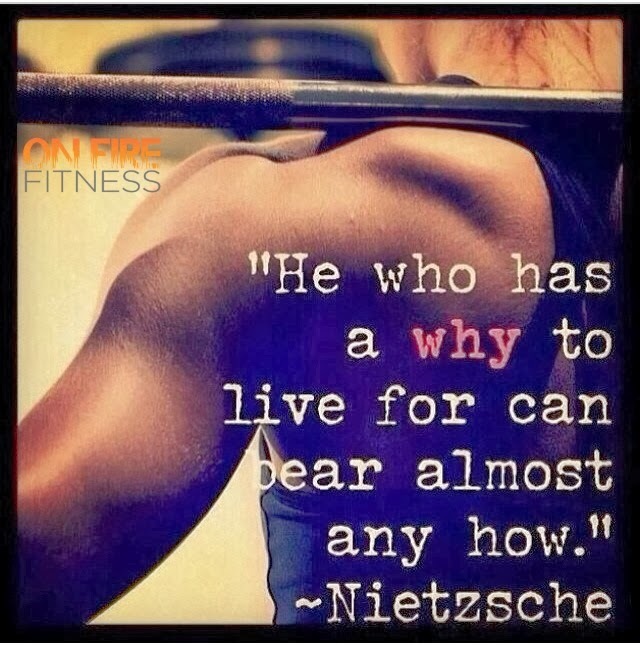 It is important to develop your WHY when it comes to your heath and fitness goals. My other why: get into the best shape of my life. Why now? Because I can! You truly have to commit to yourself and you can achieve what you set your mind to. Have you taken the time to develop your why? If not really think about it. Your why is what will get you up early to workout before you go to work, or to have your gym back packed to go on your way home from work. It will drive you to make better food choices and pack a meal, instead of getting a fast food "meal". You will learn to treat your body with respect, since you only get one, why not make it the best it can be. If you find your honest why, this will be your driving force to reach your goals. Make the time to decide your why or whys! Lastly on this Monday I want to share with you a company called Chase Infinite which sells workout tanks with inspiring messages. Also $1 from each shirt sold goes to a specific charity. So $1 of shirts pictured above will go to the National Coalition Against Domestic Violence. I love the message that Strong Women Empower Women. It is important for us women to stick together and empower each other not cut each other down. There is so much cyber-bullying that happens on social media these days from women cutting each other down. This message reminds us to stand together as women! They have offered a 20% discount code to my readers. 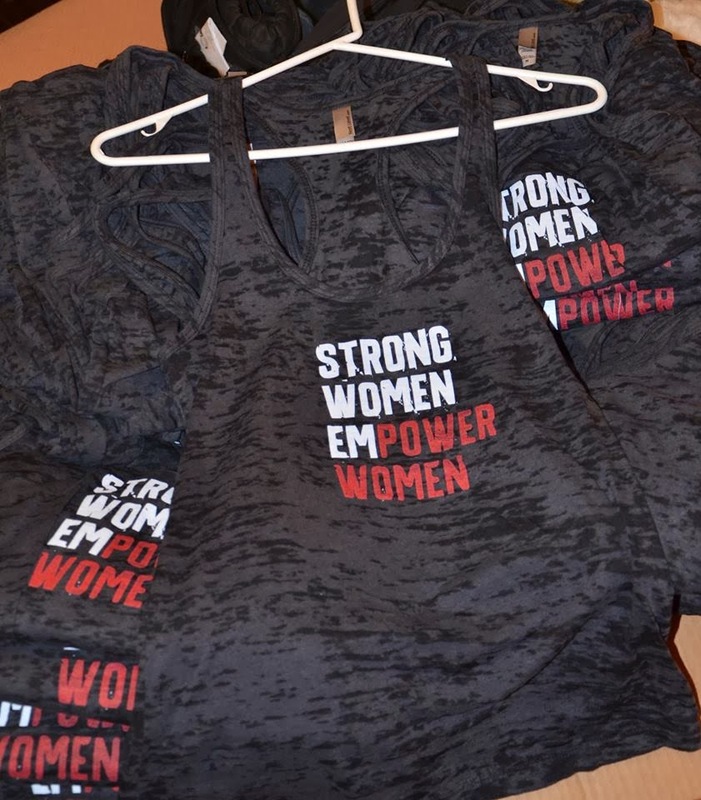 If you want to purchase this or any tank go to their website and use the offer code "fitness". On that note, I am off to get my workout in! Total body circuits with a 30 minute cardio tabata! What are you doing today? I love to hear from you so make sure to leave your comments below! I love your reasons why and you I love it even more that you have you vacation workouts planned, that is something I would totally do! Proud of you! Enjoy that Florida SUN!!!! Thanks Lindsey! I didn't get them all in, but I am okay with that! Rachel, it is a great shirt! That is a great reason to workout. You seem like you really love it too! Thanks Nicole! That is awesome! What is an ultra marathon? You are so inspiring! I could only dream of running a marathon, I am more into the weights!